Many of you may be familiar with LoopNet, the free commercial real estate version of the residential MLS. If you are a small business, you may have logged on and been able to search all available commercial listings. 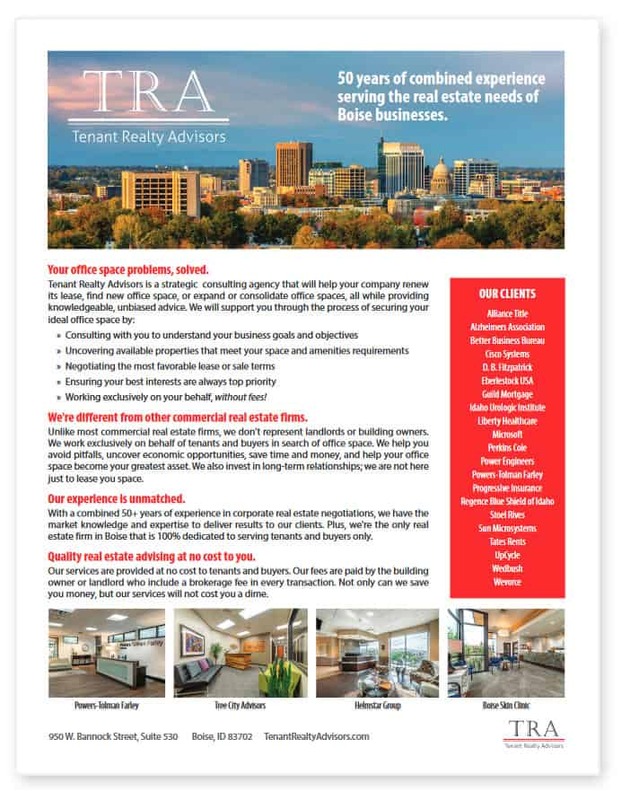 Every commercial real estate company in town, and nearly all significant property owners and managers, advertised all of their listings here. If it was available, you could find in on LoopNet. It’s not nearly so simple now. In 2012 LoopNet was acquired by CoStar, a $9 billion Washington, DC based company. CoStar has always been known for its data as much as its property search functions, but it has been subscription based and not always accurate and therefore really not utilized in the Boise market. In the last 18 months, CoStar and LoopNet have integrated and things are changing fast. The biggest change for you, as a business owner looking for available commercial real estate, is that LoopNet now only lists properties from paying advertisers. If you want to see all the space available you’ll have to sign up for a costly, long term CoStar membership. Even if you decide to pay for that membership, I am finding CoStar’s data is unreliable, to say the least. Building facts may be correct (they have taken much of their data from county assessor’s offices), but lease rate, sale price, and comp information are way off. For example, I needed a comp on a recent sale and found, after calling a few agents to double check, that the number they had was off by $2 million! Equally concerning are CoStar’s errors in identifying available spaces. In its property listings, the site includes outdated marketing flyers, sale flyers from when the building sold years ago, and other confusing information. It takes a good deal of extra time to be sure I am getting correct information. Confused? So are we, the full time commercial real estate community. Right now, things are in flux and to get accurate information on properties, I search using LoopNet, double check with CoStar, and then reach out to all the major listing companies, property managers and developers to triple check that I am not missing anything and that I have correct information. Having a great handle on the market is helpful — we are familiar with most owners, developers, and commercial listing companies — but time is money, as they say. While the accuracy of the data will surely improve over time, it looks like free users will always be limited in the number of listings they see. For now, I strongly suggest that if you have a buy or lease requirement, engage Tenant Realty Advisors to search for and show you ALL the available options. Expect us to do significant legwork to find every possible option and to arrange access with the listing team. We can sort through inaccurate data to advise you on what spaces are available and what a fair price or lease rate looks like. We will advocate for you during the negotiation process and, at the end of the day, save you both time and money.